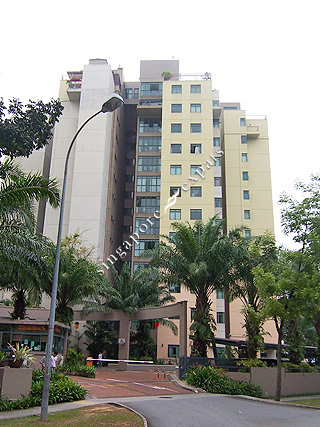 SUMMERDALE is located at 2 - 10 BOON LAY DRIVE in district 22 (Boon Lay, Jurong, Tuas) of Singapore. SUMMERDALE is a 99-year Leasehold Condo development consisting of 120 units. SUMMERDALE is completed / TOP in 2001 (estimated), developed by BOON LAY EXECUTIVE CONDOMINIUMS PTE LTD.
Educational institutions like CANADIAN INTERNATIONAL SCHOOL (LAKESIDE), YUVABHARATHI INTERNATIONAL SCHOOL, THE JAPANESE SCHOOL, BOON LAY GARDEN PRIMARY SCHOOL, LAKESIDE PRIMARY SCHOOL and RULANG PRIMARY SCHOOL are near to SUMMERDALE. SUMMERDALE is accessible via nearby BOON LAY, LAKESIDE and PIONEER MRT Stations. Great place for a peaceful stay. Amenities nearby. Well connected. Value for Money ! Cheap condo in the west ! Spacious! Easy movement by Green Line MRT , buses and cars. AYE / PIE . Strategically located for working professionals and students of NTU and River Valley High. quiet place. very convenient to buy food and marketing. Transportation in bus or MRT are easy. Jurong point and Park can be a walking distance.